The Department of State goes to great effort to ensure that Foreign Service Officers and our families are safe and secure overseas. It also goes to great effort to provide for our physical and educational needs. This includes paying for the tuition at the American International Schools so many of our children attend (or an equivalent amount of tuition if the parents chose another International School), providing resources for those parents who chose to homeschool, and where possible, providing for access to commissaries which sell familiar goods. 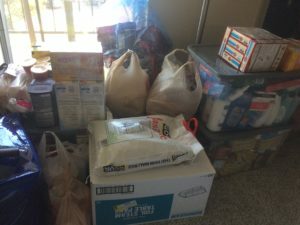 At some posts, where access to goods is sporadic, or difficult, or possible-but-exceedingly-expensive, the Department will pay for a shipment of consumable goods, in addition to the household belongings we take with us. Lagos, Nigeria falls into that last category. From what we’ve been told, we will likely be able to find many familiar non-perishable goods in Lagos, but they will be very expensive. The situation with perishable foods will be even more limited/expensive. In preparation for our departure, we did our consumables shopping recently. Now, the Department only pays for the shipping of these goods, not for the purchase, and our credit cards are groaning somewhat under the strain. 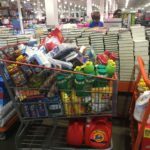 My amazingly organized wife created our plan of battle, and started going after stores 1 by 1, and then last weekend, we invaded Costco. All the while, our daughter’s room (the largest bedroom we have) slowly shrunk as we pre-staged our items for the movers to pack up. Trader Joe’s: 8 quarts of maple syrup, also honey, chocolate, and dehydrated fruit. Purchases from Safeway, Shoppers, Target, and probably a few other stores, ready for the movers – including toiletries, rice, and much more. We’ve been told that dairy in particular is expensive We will be able to buy imported cheese, but we may have to pay $28 for 1/2 kilo. To remedy that in part, we’re planning to bring 50 lb of frozen cheese in a soft-sided cooler inside one of our suitcases. Ice-cream will be available for $20-30 per half gallon. Fortunately, someone else here at Oakwood, who was replacing their 110v ice-cream maker with a 220v model, was kind enough to give us their old one, so out I went to purchase 2 cases of evaporated milk so that our frozen dessert desires can be met (and hopefully the 110v ice-cream maker will work well for us plugged in to a transformer, because Nigeria is a 220v country). Finally, Costco. 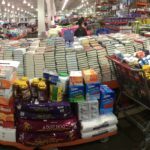 Now, our local Costco is fairly unique, as noted in a recent article in the Washingtonian. 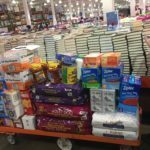 We had been told that many diplomats shop there for their consumables, and that the moving companies which do our pack-outs will even pick up the orders from Costco, saving us the hassle of hauling our stores home to be packed up here. 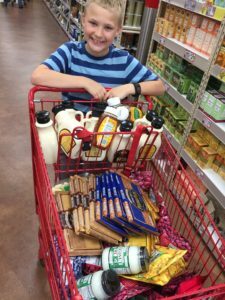 We brought along our 12 year old to push an additional cart, a 4 page printed out excel spreadsheet shopping list, and set to. 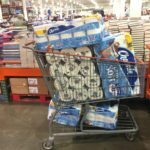 Toilet paper, ramen, dog food, cat food, flour, laundry soap, and everything else we think we’ll want for the next 2 years. Yes, all of the carts in this panoramic are ours. 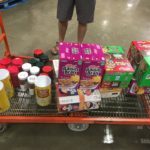 After going through the checkout with these 2 carts and 2 flatbeds, we realized we had somehow missed the aisles with jam, peanut butter, and cereal, and so back we went and filled another cart. If you want to see a bigger shot of each cart, see below. After buying all of those items, Costco plastic wrapped each of the carts and set them aside, and we gave them the name of our movers. On Thursday this week, the movers came. They packed up the 758 lb of our belongings that we will get flown to us, as well as another few hundred pounds that will go by ship. 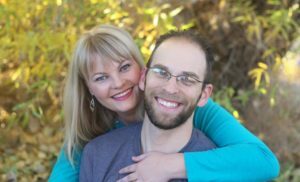 We handed off the list of items (from the inventory done when our house in Utah was packed up in March) that we want pulled out of storage and sent by ship. They packed up the consumables we had here. 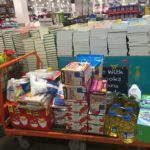 They had DyAnna meet them at Costco, and they packed up everything that was in those plastic-wrapped carts into boxes, and loaded them into wooden crates to be shipped (by sea, I assume). Most of the prep work is done. We’ve had 2 out of the 3 rounds of shots we need to get. Our stuff, with the exception of what we are planning to bring in our suitcases, is gone. Our plane tickets have been issued. I’ve got 2 more days of training at FSI, and 4 more days for consultations. We still need to do another vet visit to get the international travel papers for our pets, I need to check out of FSI and arrange for my email account and files I’ve saved during training are transferred out to Post, but we are almost there, and we are getting very excited for this next stage.